low-budget movie of filmmaker Perry Henzell. filming is scheduled to start later this year in Jamaica and London. new-look movie but Henzell said a cast is still being assembled. as well as an authorised Bob Marley biography. He also wrote the screenplay for the 1999 movie, Third World Cop. Xingu Films and Conquering Lion Pictures which is based in Toronto. creating a new narrative worthy of the legacy," Henzell said. 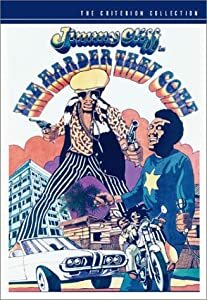 original, which starred singer Jimmy Cliff, was first shown in Jamaica. creating a new narrative worthy of the legacy,\" Henzell said.